Young people who successfully complete the Academy are qualified for introductory jobs at local lodges, tourism based businesses and non-profits. They have become proficient in many skills and have been given the tools to continue building their newfound interests and skills after the Academy. 1. Host an apprenticeship program. Give graduates hands on experience while having some extra help around. We are currently seeking lodges or businesses who would host a graduate at your lodge or business for anywhere from 2 to 10 weeks. 2. Hiring past graduates. Do you have openings for an assistant guide or deck hands, or intern? Please consider hiring a local graduate. Send your position descriptions to Nelli and she will pass them on to our graduates. Advantages of hiring a Bristol Bay Fly Fishing & Guide Academy graduate. Local knowledge. These students have grown up in the area and know the rivers, stories and culture like the back of their hands. Through the Academy they have learned how to share this knowledge with co-workers, employers and visitors to the region. Rigorous Training. 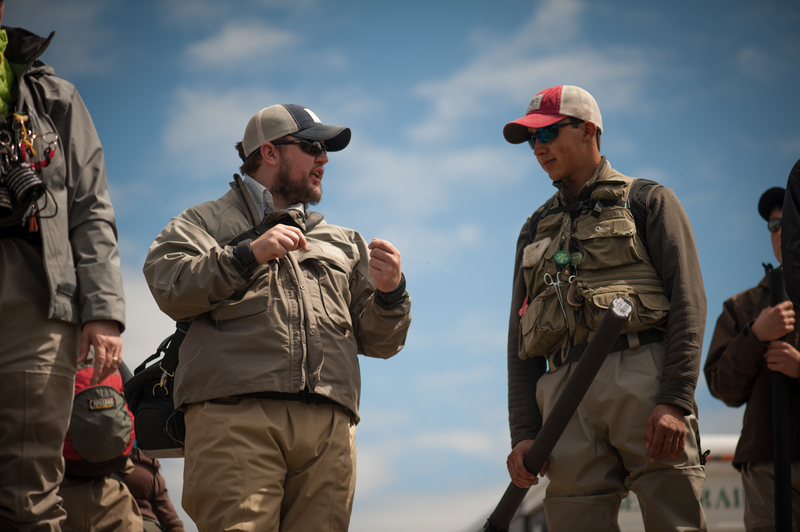 The Academy is a rigorous course that teaches students everything from casting and knots, to customer service, to lodge to local conservation issues. They have a strong platform of knowledge on which to base further job experience on. Bush knowledge. These students have grown up around boats, generators, float planes, weather and everything else that comes with operating a business in the Alaska bush. We don’t have to tell you how valuable that knowledge is. To learn more or inquire about hiring a graduate contact Nelli at 230-7121. Thanks for getting in touch, Kirk! We will be in touch shortly.